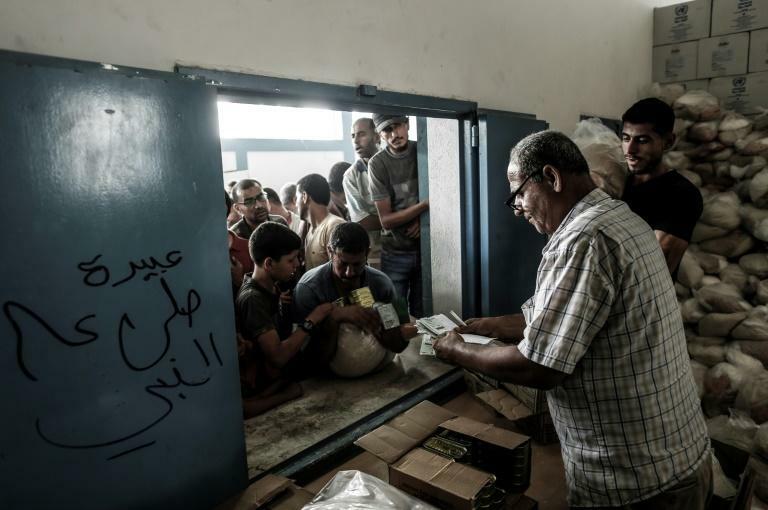 The United Nations has run out of funding to pay for fuel needed for hospitals, water plants and other critical facilities in the Gaza Strip, the UN political chief said Wednesday. Rosemary Di Carlo also told the Security Council that recent violent escalations between Israel and Palestinian militants "threatened to plunge Gaza into war." The Security Council held its monthly meeting on the Israeli-Palestinian conflict as the United Nations was working with Egypt to address the humanitarian crisis in Gaza and halt the violence. Di Carlo said she was "deeply concerned that funding for UN emergency fuel, which sustains some 250 critical facilities in Gaza has now run out" and appealed for $4.5 million to ensure essential services for the rest of the year. The UN undersecretary-general for political affairs also raised concern over a "dangerously short supply of essential medicines" after 40 percent of the stocks of drugs were completely depleted. Gaza has seen a surge of violence since Palestinian protests that began in March have been met with Israeli fire, killing 171 Palestinians. Israel has carried out strikes in Gaza at least 125 times in response to rocket attacks fired toward Israeli towns and cities. UN envoy Nickolay Mladenov and Egyptian officials have been seeking to broker a truce between Israel and Hamas, which rules Gaza. The two sides have fought three wars since 2008. Israeli media have speculated that a deal could entail easing Israel's crippling blockade of Gaza in exchange for calm on the border and the return of the bodies of two soldiers killed in 2014. Israel is also seeking the return of two Israeli citizens believed held by Hamas. Di Carlo called "on all parties" to ensure that humanitarian aid reaches Gaza and urged Hamas to provide information on Israeli nationals held in the strip.